Pond renovation can be challenging, but it also a lot of fun, especially when you plan out the details. A lot of homeowners consider their ponds to be little more than an extension of their properties. However, unlike a new room, ponds should be considered a continual work in progress. They need regular and ongoing maintenance which is vastly beyond what is necessary for a bathroom, kitchen or bedroom. Never forget that your pond is an ecosystem. Your renovation project should be based around the things that you like the most about ponds, whether it is flowers, birds, turtles, fish or frogs. Once you know what inspires you, you will have the foundation to begin and finish a project that will suit your desires. Everything should be written down, so that you know where you stand. What natural landscapes inspire you the most? Is it mountain streams, or a natural pond in the woods? Find something inspirational in nature that can be duplicated on a smaller scale. You should also consider the things that you do not like in your current pond, and ways you can alter it. A lot of pond owners think that they can perform a renovation project on their own, without relying on the services of an expert. This is typically done so they can save as much money as possible. However, the trouble with these individuals is that they often underestimate the difficulty in undertaking such a project. While there are indeed books, videos and online materials that can guide you through the many aspects of renovating a pond, the fact of the matter is that this project is an art just as much as it is a science. Professionals do this for a living, and the best have been doing it for years. They are more than just renovators, they are artists, and as is the case with any great painter or sculptor, they have their own unique styles that no one else can duplicate. Few homeowners who attempt a DIY side project will be able to produce the spectacular results which are seen from the pros, guys who make the renovation of ponds and water gardens their business and passion. While a DIY project will save you money, hiring these individuals will save you time. It is a matter of which one you prioritize more. 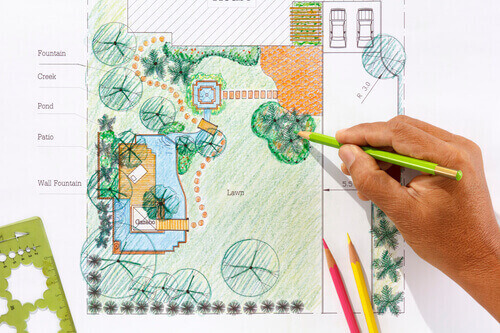 Regardless of which path you choose, by planning out the details of your project in advance, you can realize your dream of creating your own paradise. The people who produce the best ponds are those who have powerful and vivid imaginations, combined with the discipline and follow through to bring those imaginations to reality. The possibilities for a renovation project are truly limitless. In truth, the planning phase should encompass 80 percent of the project while the execution should make up the remaining 20 percent. When done this way your renovation project will be completed on time and within budget.